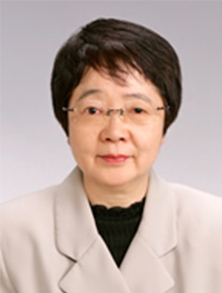 Nobuko Kobayashi, Ph.D. is a clinical psychologist. She obtained her doctoral degree in clinical psychology from University of Ottawa, Canada. She has worked at several hospitals and mental clinics in America and now has her private practice, named Ponticulus, in Tokyo, Japan. She does psychotherapy and coaching, as well as giving training in NLP, Coaching, Cognitive Behavior Therapy, Assertive Training, Communication, Mental Health, Human Development and many other areas of psychology. She is a certified ICNLP master trainer, a certified ICC coach and a certified ICC coach trainer. She published two books in the area of cognitive therapy, and translated four books relating to NLP and coaching, one of which is “Coaching with NLP – How to become a Master Coach ” by Joseph O’Connor and Andrea Lages. She is interested in spreading Coaching and NLP in Japan through workshops and trainings. She enjoys training people so that they can use all their potentials to be themselves and to attain their goals, and to help others. She is motivated now to integrate all she learned into a meaningful whole to help others more.